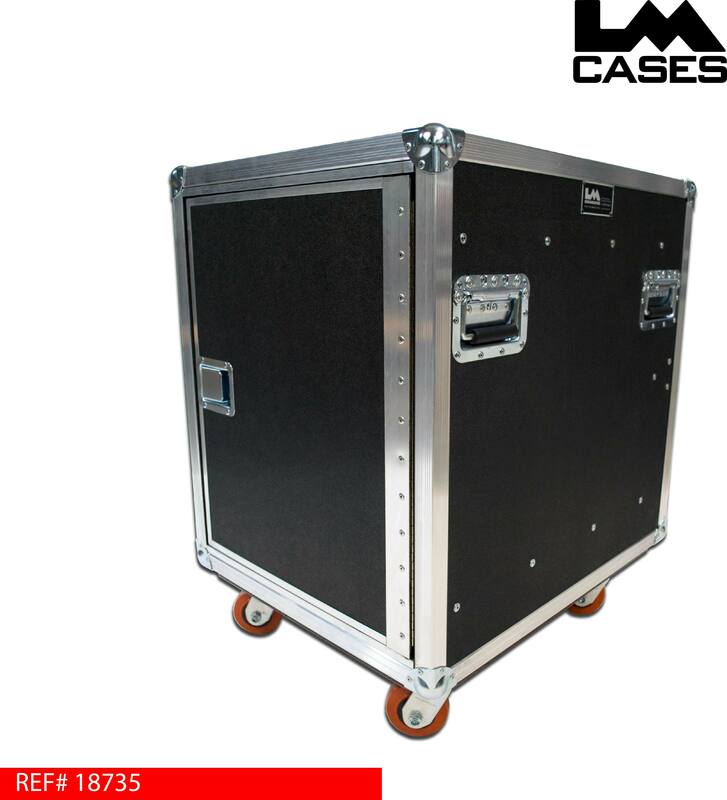 We all know how stressful touring is, every thing is rushed and space is at a premium; these cases are designed to help the touring professional worry about one less thing: "where do I put all of my rack lids." 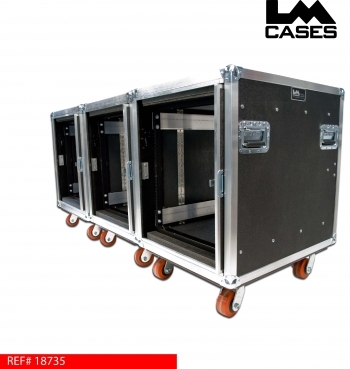 When moving in and out of venues it is easy to forget simple items like rack lids, this design also solves the issue of storage! The rack doors are mounted on heavy duty glides allowing the doors to be opened with a single latch, and retracted into the side of the case, this allows simply roll the racks where they need to be, and flip open the doors. Standard touring racks have at least 8 latches, think of the time you spend simply opening and closing latches on racks! The rack section of the case utilized pre-tapped steel rack rails mounted to aluminum frame rails. 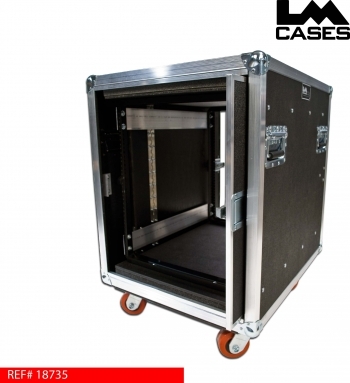 This inner rack is then shock mounted into the case using foam for the ultimate level of protection. These racks are designed with truck pack in mind, they are 25" wide by 30" deep OD.